Photo Gallery | I Want To Help Africa, Inc. The children were so excited to receive the donated items, they got together in front of their school in Zimbabwe–singing and dancing for those from I Want To Help Africa! This is actually what some call an “African Xylophone” which uses gourds to create sounds. By hitting the wood above, the gourd below hums and each has a different sound. Every village has one and every year a competition is held between villages! 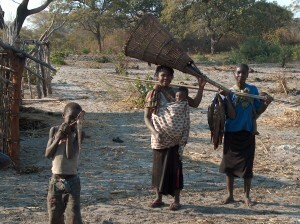 A family returns from fishing with a good amount of fish. 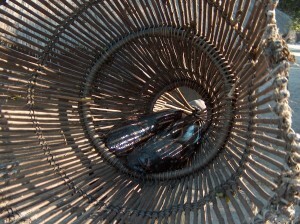 They were using the woven basket to catch and, later, to carry some of their fish home. 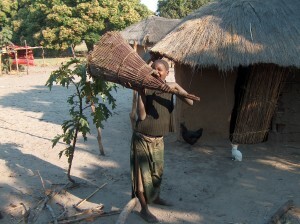 Also used to catch fish are the large nets they drag across the river near their homes.